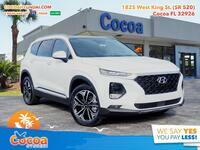 Not every model in a lineup can receive extensive updates each year, and this year the Santa Fe was one model that was carried over from the previous year. 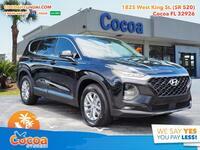 But it’s style, versatility, and capabilities ensure that it remains a great option despite few changes. 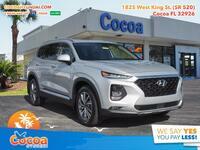 To show just how great of an option it is, we thought we’d show you how it measures up to one of its biggest segment rivals, by comparing the 2018 Hyundai Santa Fe vs 2018 Honda Pilot. 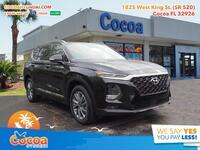 We’ve compiled some of the most important and exciting specifications of each midsize crossover into the table below, and we go on to analyze it row by row to show you where each vehicle has its advantages. These two are quite comparable to one another, but each certainly has a leg up in one area or another. 13.5 cu. ft. Cargo Capacity 16.5 cu. ft.
40.4 in. Rear Seat Leg Room 38.4 in. 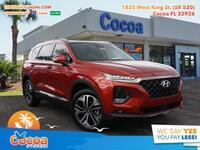 Starting from the top, the first row takes a closer look at power, in which the Hyundai Santa Fe has a nice advantage over the Honda Pilot. 10 horsepower might not seem like much, but it would certainly be noticeable if you were to drive the two back to back. 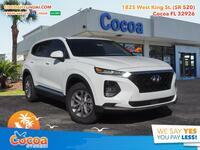 However, this advantage does come with a drawback, as shown in the second row where the Pilot earns an extra mile per gallon combined fuel efficiency. 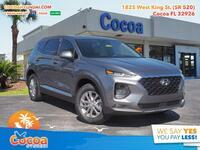 The third row shows another Pilot advantage in the form of an extra 3 cubic feet of space to fit your cargo, but much like the Santa Fe’s horsepower-to-fuel efficiency exchange, this has a drawback for the Pilot. 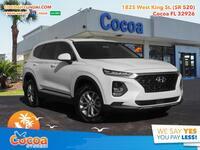 If you plan on having passengers in the back row often, your friends will appreciate the two extra inches of leg room they get in the Santa Fe! 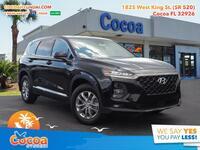 If you’re interested in a 2018 Hyundai Santa Fe of your own, be sure to get in touch with us here at Cocoa Hyundai either via telephone or right here on our website!